Botswana is the new tourist destination with premium wildlife in the world. It consists of huge water ways in the Chobe areas inhabitant by thousands of elephants and easy access to Victoria Falls. 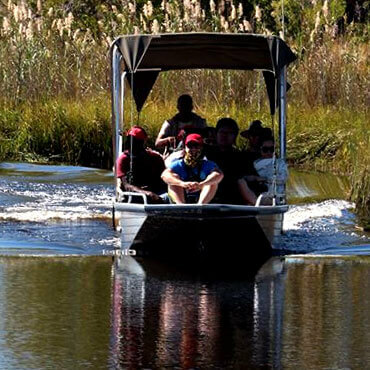 Moremi Game Reserve which covers the Okavango Delta, the largest inland delta in the world consists of permanently swamped areas, imperrienial swamps and dry land covering the land of 3, 000 km. The fauna inhabiting the park is abundant and equally diverse with superb landscape and islands, created million years by termites. Makgadikgadi and Nxai National Parks offer the openness and seasonal migration of zebras from the Chobe towards Central Kalahari and abundance of exotic birds.